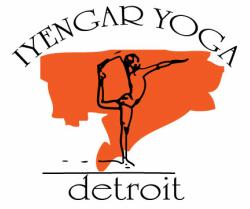 Are you new to Iyengar Yoga Detroit? Try us out for $30. Grow stronger and more flexible week by week, and establish new, healthful habits. Take advantage of this special deal! - Open to all new students, no membership required. - All classes are included, except Yoga Therapy. - Expires 5 weeks after the first class. After the 5 weeks are completed, we encourage you to become a member, purchase a class pass or pay drop-in.